Not every rodent job works out the way you want it to. There are times when you have to come back four times or more, and still the problem is not resolved. Such situations are costly in terms of customer satisfaction, technician confidence and out-of-pocket expense. When I’m called in to assist in such situations, the answer is not always obvious — and varies with the circumstances. The following 12 questions are designed to help you analyze your challenges. 1. Are ants and/or peridomestic cockroaches eating the bait or rodenticide before the rodents have a chance to find it? Sometimes this begins within minutes after you leave the scene. Insect control may be necessary as part of your rodent control program. 2. Are non-target mammals, such as squirrels and raccoons, the culprit? Sometimes “burrows” and trails in the grass are not created by rodents at all. Review rodenticide labels for details on the additional steps required to protect non-target animals from rodenticide exposure. 3. Is the rodenticide moldy, infested with insects and/or are you handling it with your bare hands that reek of tobacco? The moldy bait may have occurred within a day or two after you installed the bait stations because you placed it in an area that floods after it rains. 4. Was the rodenticide you applied stored in open containers in your vehicle, where it picked up repellent pesticide odors? Perhaps the storage room at the shop has the same problem. 5. Did you install enough bait or traps? Perhaps you underestimated the size of the rodent population. 6. Are you after the wrong rodent? You have mouse bait stations out, and rats are the problem. You have rat stations out, but you have white-footed mice. Different rodents require different control methods. 7. Did you install your control devices outside the rodent zone? It doesn’t help to have traps in the basement when the rodents are living in the attic. Installing exterior bait stations just a few feet off the rodents’ main runway can result in failure. Rodents are creatures of habit, and run along pathways they mark with pheromones. 8. 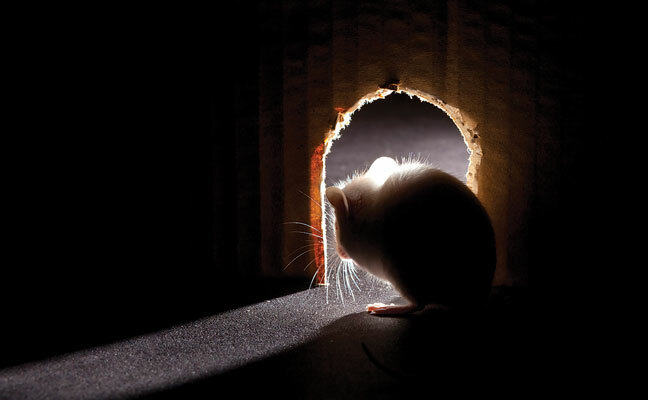 Are exterior rodent populations prevalent and readily moving into structures? This is when it becomes essential to have proper rodent proofing in place. 9. Did your customer obtain incoming shipments of goods that have a high probability of containing rodents? It’s even worse when food is readily available in the facility and is more palatable to the rodents. I saw this happen when “rework” bagged dog food was returned to a warehouse. 10. Do you have access to every place the rodents do? Maybe it’s a matter of being locked out of a maintenance shop or a crawlspace, and getting permission to enter such areas. In larger, older buildings, the rodents may be well established for years within inner voids. Access into these voids may have to be constructed. A different, but equally frustrating side of the access coin is when apartment building tenants don’t allow you to enter their premises — and they are the focal point of a dispersing rodent population. 11. Is the rodent population one step ahead of you? Some rodent populations might include individuals that already are genetically sensitive to avoid snap traps or other devices. 12. Are garbage trucks the source of the problem? In some cities, garbage trucks backing into loading docks have rats on them. Once in a while, one can jump off and scurry onto your customer’s property. Now that you see what the problem might be, do not use it as an excuse. Nor should you simply blame price and time constraints. If these are factors, you need to put them in writing and indicate more time and more work is needed.